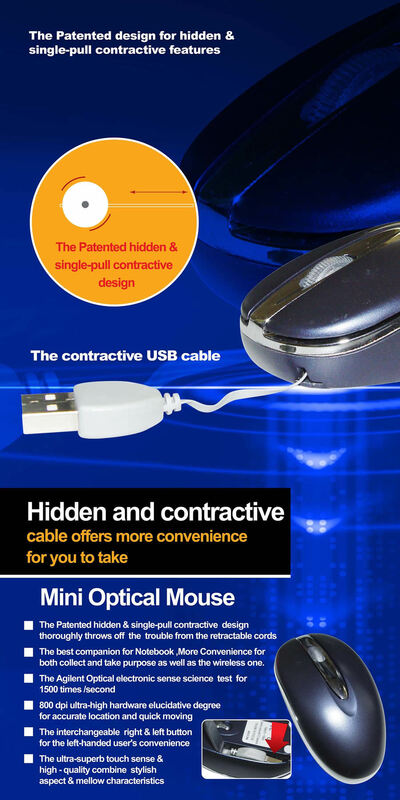 The Patented hidden& single-pull contractive design thoroughly throws off the trouble from the retractable cords. The best companion for Notebook, More Convenience for both collect and take purpose as well as the wireless one. The Agilent Optical electronic sense science test for 1500 times/ second. 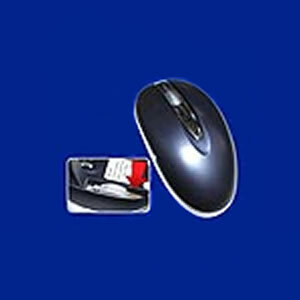 800 dpi ultyra-high hardware elucidative degree for accurate location and quick moving. The interchangeable right & left button for the left-handed user's convenience. The ultra-superb touch sense 7 high-quality combine stylish aspect & mellow characteristics.